Eleven-year-old John Hale has already survived one brutal Dakota winter, and now he's about to experience one of the deadliest blizzards in American history. 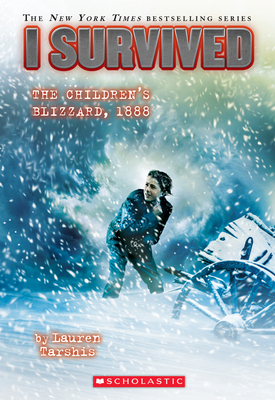 The storm of 1888 was a monster, a frozen hurricane that slammed into America's midwest without warning. Within hours, America's prairie would be buried under ten feet of snow. Hundreds would be dead, thousands terrified and lost and freezing. John never wanted to move to the wide-open prairie. He's a city kid, not a tough pioneer! But his inner strength is seriously tested when he finds himself trapped in the blinding snow, the wind like a giant crushing hammer, pounding him over and over again. Will John ever find his way home?